"A lot of people know me as a hungry, hungry Chia, but there is a lot more to me than the numerous amount of petpets that I eat every day." Into the dark realms and inevitable doom of Haunted Woods fashion! This is Halloween! 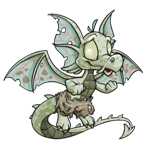 It's the one time of year when it's actually socially acceptable to deliberately scare your Neopets half to death, and I'm gonna terrify the nappy off my baby Usul. 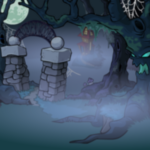 Ten Ways to Celebrate your Neopian Halloween! First of all, we looked into Malkus Vile's species. 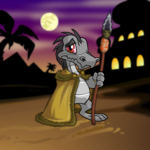 According to the card, he is a green Skeith, wearing a fedora. My detective team looked into all possible conclusions. 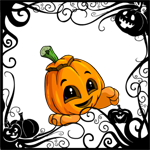 Even if your pet isn't painted Halloween, you can still celebrate this creepy holiday with all the wonderfully wicked wearables Neopia has to offer. Get inspired by some of these Halloween looks I've put together just for you! 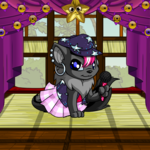 I, Quorzac VIII, will for the first time introduce to Neopia Alien Aisha recipes that can be prepared easily and quickly within the comfort of their own kitchens. Stand out from all the ghosts and faeries this Halloween with six, all NP, costume ideas. We would investigate Halloween pets. 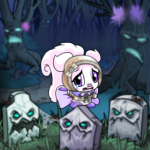 Not just any Halloween pets, though, but rather the Halloween JubJub and Halloween Kiko. "There's no such thing as ghosts! Why, I went to that graveyard outside of town and I certainly didn't see any ghosts." Tazaa's home turned out to be one of five rooms in the narrow building. They climbed a flight of chipped steps to a landing that contained a wooden door that looked like it had been forcibly removed from its hinges several times. "Tyson, we'll try this one more time. Look into the mirror." "No!" He squeezed his eyes tightly shut and curled up into a ball. Are you done dressing up?